These so called "trade partnerships" have nothing to do with trade. These agreements negotiated in secrecy grant immunity to corporations from the laws of the countries in which they do business. This is achieved by declaring any interference by existing and prospective laws and regulations on corporate profits as restraints on trade for which corporations can sue and fine "sovereign" governments. For example, the ban in France and other counries on GMO products would be negated by the Trans-Atlantic Partnership. Democracy is simply replaced by corporate rule. The corporations are buying power cheaply. They bought the entire US House of Representatives for just under $200 million. 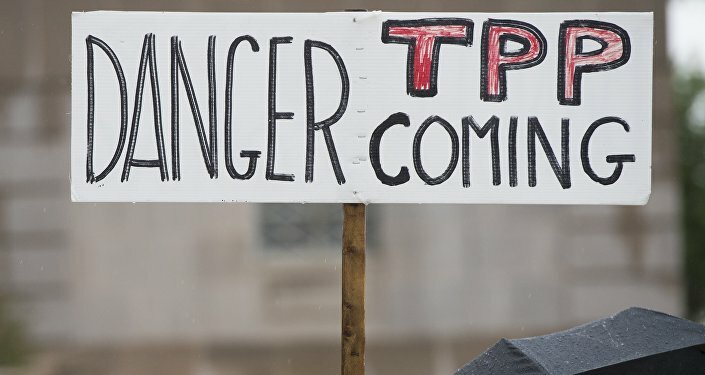 This is what the corporations paid Congress to go along with "Fast Track," which permits the corporations' agent, the US Trade Representative, to negotiate in secret without congressional input or oversight. In other words, a US corporate agent deals with corporate agents in the countries that will comprise the "partnership," and this handful of well-bribed people draw up an agreement that supplants law with the interests of corporations. No one negotiating the partnership represents the peoples' or public's interests. The governments of the partnership countries get to vote the deal up or down, and they will be well paid to vote for the agreement. Once these partnerships are in effect, government itself is privatized. There is no longer any point in legislatures, presidents, prime ministers, judges. Corporate tribunals decide law and court rulings. It is likely that these "partnerships" will have unintended consequences. For example, Russia and China are not part of the arrangements, and neither are Iran, Brazil, India, and South Africa, although seperately the Indian government appears to have been purchased by American agribusiness and is in the process of destroying its self-sufficient food production system. These countries will be the repositories for national sovereignty and public control while freedom and democracy are extinguished in the West and among the West's Asian vassals.